Amity University has become the first university in India to secure the IET’s international re-accreditation for six of its engineering programmes. IET accreditation is an internationally recognised benchmark, awarded to high quality programmes that provide an ideal preparation for aspiring professional engineers. Raghavan, Head of Membership & Partnership (India) presented the accreditation certificate to Prof. (Dr.) Balvinder Shukla – Vice Chancellor, Amity University, on Tuesday in the presence of Dr. David Jenkins – Professor from University of Plymouth, UK, who graced the ceremony as the chief guest. 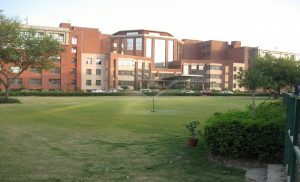 Amity University – Noida, Lucknow and Dubai completed IET accreditation process in 2011 and applied for IET re-accreditation in 2017. Now, six of their B.Tech programmes including Aerospace Engineering, Computer Science Engineering, Electronics and Telecommunication Engineering, Electronics and Communications Engineering, Nanotechnology & Mechanical are re-accredited. In addition to validating the quality of the institution’s programmes, IET accreditation also provides direct benefits to students graduating from Amity University. It allows better international mobility, job prospects and acceptance for graduate students in foreign universities, opportunities for interdisciplinary research as well as exchanges. With the successful completion of the accreditation process, Amity University – Noida & Lucknow campuses have become the IET’s academic partner which gives them access to over 80 international academic partners, opening avenues for international collaboration. The IET is one of the world’s leading professional societies for the engineering and technology community. IET accreditation, licensed by the Engineering Council, covers a broad spectrum of engineering and technology subjects. It is recognised around the world as an indicator of quality through the Washington and Sydney Accords, governed by the International Engineering Alliance (IEA). Institutions with IET accredited programmes are eligible to apply for the EUR-ACE label, awarded by European Network for Accreditation of Engineering Education (ENAEE). Colleges in India could approach the IET to accredit their courses.